Leg number 2 on this 240Nm singlehanded passage to Gibraltar was much better. Leaving Almeria just after breakfast the seastate was ideal and the wind from east was weak to moderate as predicted. The only downside was the eastsetting current from Gibraltar Strait filling the Mediterranean with water from the North Atlantic. 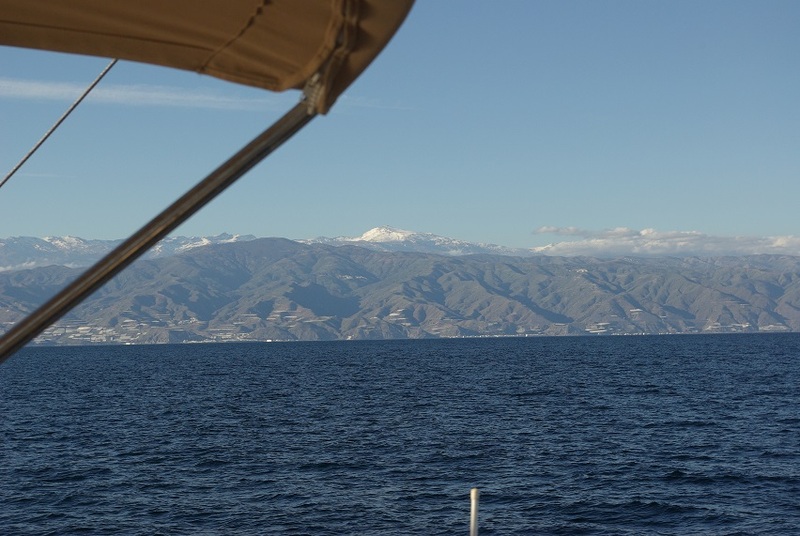 Allthough going close to land along Costa del Sol (about 5Nm offshore to avoid fish farms), the current set me back around 1,5kts. 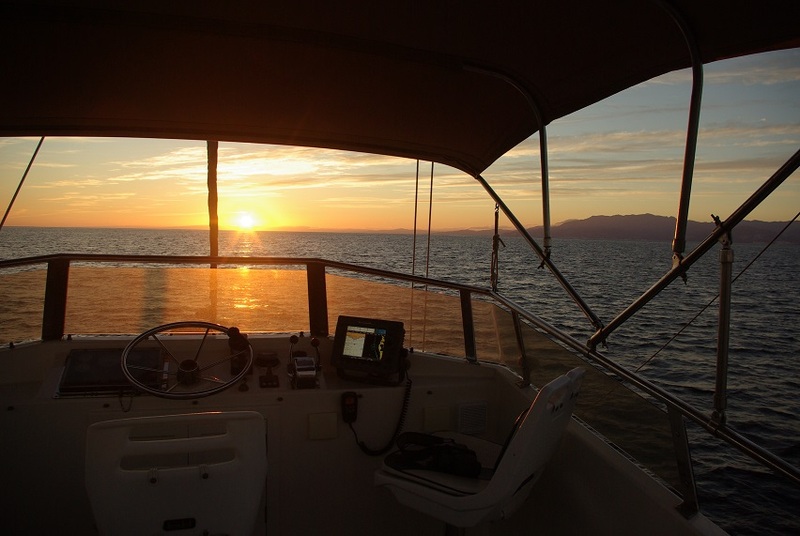 Allthough a beautiful sunset from the flybridge it means soon the boat will be completely surrounded by darkness a fact that alerts the stressystem. The night passed without incidents having radar zone alarm activated, waking me up twice during the night due to ships entering the guard zone. Alarmclock was set on 30mins which seems to work well bot out of a security perspective and keeps me reasonably fit. While passing Costa dell Sol a clear day Sierra Nevada will be seen in the background. Good skiing I hear from different sources.